ATV is a premiere full service production, rental, and sales firm. 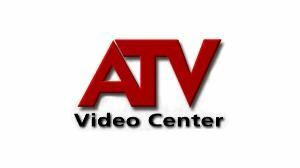 If you are looking for a video camera rental, ATV should be the first place you call. ATV rents LCD Projectors, PA Speaker Systems, Wireless Mics, and other audio video equipment. ATV has you covered. Boasting the latest in LCD projection, multi-format video switching, and HD video technology, we are equipped to deal with the ever-changing needs of today's corporate environment. ATV Rents Audio/Video from consumer camcorders to production video cameras. Rent a projector, rent plasma TVs and LCD monitors. We do it all. ATV Installs specializes in theaters, night clubs, restaurants, classrooms, boardrooms, conference rooms, and houses of worship. And if you're looking to buy your gear, we can take care of that as well. History Established in 1986 ATV Video Center, Inc. features it's own Show Crew who provide Audio Visual Production Services to meeting sites throughout Central CA. Having an experienced show crew, traveling with their own equipment is a cost effective way to manage risk, guarantee a high level of quality and ensure a high level of satisfaction in creating a targeted and focused production for corporate meetings from 50 - 1500. This all speaks to of our promise of offering you Low Risk, Peace of Mind and High Satisfaction. WE rented some microphones and LCD projectors from them the rental was flawless, Their prices were affordable with Great service and delivery too. Very Helpful!